New RSPCA Chief Executive Officer Michelle Robertson with her rescue dog, Bowie. Photo: Supplied. 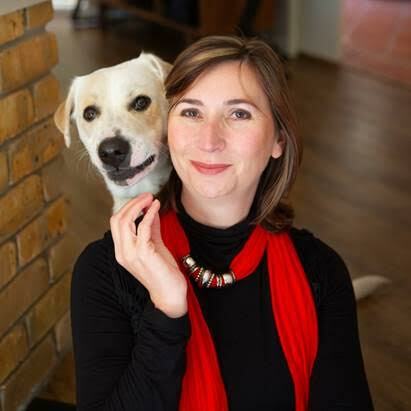 Former Communities@Work executive Michelle Robertson will take charge of RSPCA ACT next month, replacing Tammy Ven Dange who announced her departure from the role in April. The former Chief Communications Officer at the social enterprise will take up the role of Chief Executive Officer from 13 August. She has expertise in strategic, operational and tactical program and project delivery. Ms Robertson joined Communities@Work in 2014, filling several executive roles at the for-purpose organisation that offers a broad suite of community and support services in the greater Capital Region. Before joining Communities@Work, she headed up the operations of a leading international strategic business and communication agency based in Johannesburg, South Africa. She has also consulted broadly to a range of other sectors. Ms Robertson said she anticipated a ‘steep learning curve’ especially during the first few months but was looking forward to taking on the stewardship of Canberra’s only animal shelter and the role she can play in advocating for animal welfare. “Working side-by-side with the RSPCA team and the wider Canberra community, I aim to continue to build on the solid foundation established under the leadership of Tammy Ven Dange,” she said. RSPCA ACT Board President Jeffrey Butler, said Ms Robertson’s proven track record of leadership made her the ideal person to lead the organisation’s team into the future. “With the recent additions to the Board and the appointment of a new CEO, the team is well positioned to continue to ensure best outcomes for animals in the ACT,” he said. RSPCA ACT said the announcement followed another successful year of animal welfare statistics with the organisation reaching a formidable rehoming rate of over 91 per cent across all species during the 2017-18 financial year.